There are plenty of applications listed on the respective application stores of iOS and Android to rasterize your image with some cool tweaks and customized themes. However, most of them are simple with respect to a proper photo editing tool like Photoshop and generally receive destructive criticism. However, there is a sudden rise of a particular photo-editing based mobile application for only iOS which seems to catch more eyes than any previous mobile application. 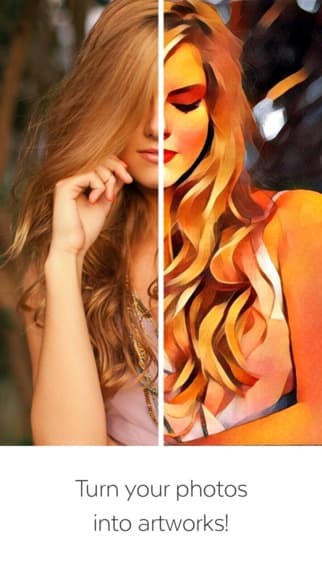 According to several blog posts and news release statements, the application turns your picture into a work of art by performing some customization on the image. Putting the color temperature up and down, adding a little percentage of noise coupled with non-linearity makes the image more like a real acrylic painting or pastel creation as per your choice. In short, you will feel like an artist who knows which shades get the work done better than the others. As per the reference, once the application is downloaded the photos from the files get directly synced to the application and becomes pretty easy choose one from the whole stack. Reportedly, the experimentation part will again put you in a dilemma as there are more than 30 artistic overlays to choose from and each one has its own uniqueness. Furthermore, the application is completely advertisement free and no in-app purchases are required to avail any extra feature. The complete feature packed photo effect application demands for a 15.8 MB storage and is available in both English and Russian. However the only constraint is that it’s a complete iOS supporting application, only compatible with iOS 8.0 or later induced iPhone, iPad, and iPod touch. Is Prisma for Android available?